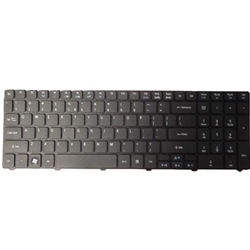 Description: New genuine eMachines laptop replacement keyboard. This original keyboard includes the ribbon cable. Part #'s: KB.I170A.172, KBI170A172, V104730DS3 UI, 90.4HV07.S1D, 904HV07S1D.